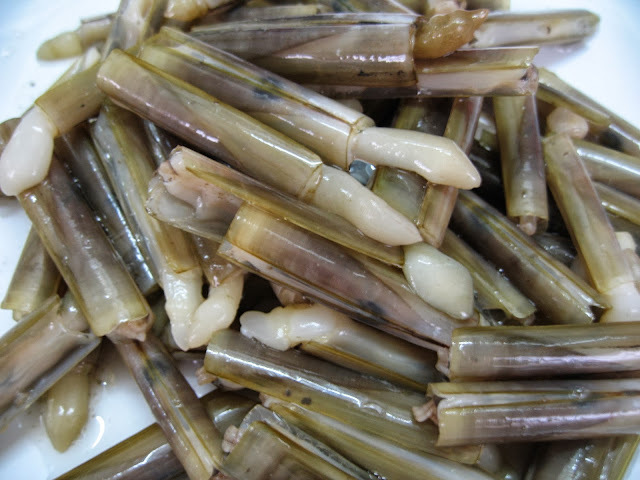 We first ate razor clam at Assam Restaurant in Batu Laut. It was fried "kung poh" style, which was hot and spicy. We just love the sponginess of the razor clams and we never forgot how good it tasted! This morning SK was at the market and when he saw razor clams being sold at the fishmonger's, the first thing he did was to check whether they were fresh by poking at them and pouring a little bit of fresh water on them to see if they moved. And moved they did. So SK bought 500g worth. 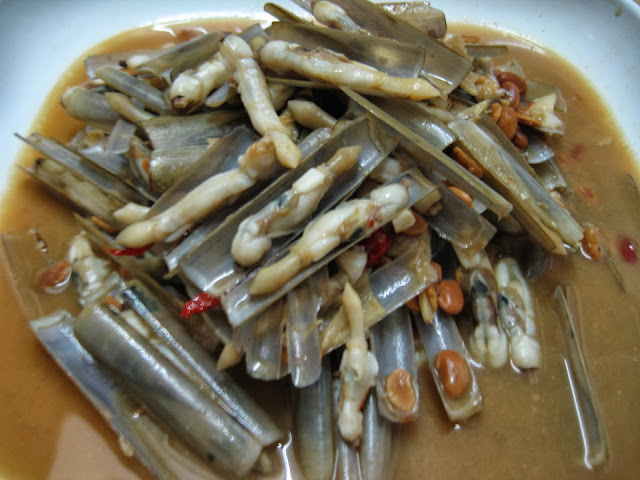 Today, I am going to share with you how to cook razor clam with fermented soy bean paste, which is just as good. 1. 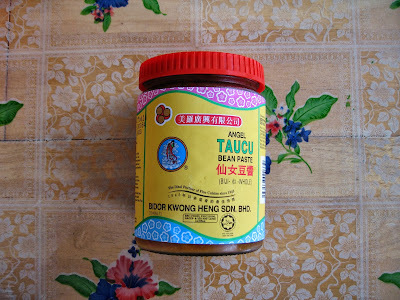 Heat wok and add 2 tbsp cooking oil. 2. Fry chopped garlic, chilli padi and ginger slices until fragrant. 3. Add fermented bean paste and stir-fry for 1 minute, then add water. 4. Add in razor clams and let boil for 10 to 15 minutes. 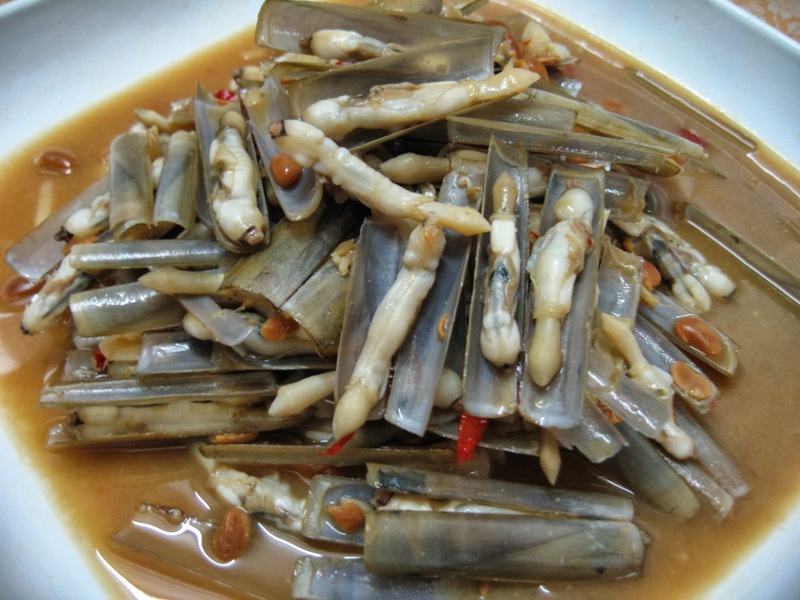 I'm allergy to shellfishes and can only watch my family enjoying razor clams. They look great cooked with fermented bean paste. Thanks Zoe. Sorry to hear about the allergy though.